Laser dentistry, it’s the future. Or is it? There have been quite a number of articles appearing in the press recently acclaiming the wonders of laser dentistry – the revolutionary, scientific, technological way forward for painless dental treatment. But hold on a minute. Is laser dentistry so new? And is it the wonder process that the press are currently proclaiming? First of all, laser dentistry hasn’t suddenly appeared on the scene, in fact it has been around for over 20-years. So, you might ask, if the technology has been available for so long, and it is so spectacular, why isn’t every dentist using it? Let’s look at how it works. Using a narrow laser beam you can cut and seal teeth in one process. It’s also a fact that because of its extreme speed the laser process does generally prevent the sensation of pain. But … the sheer power of the laser beam means that it can be a rather destructive method of tooth treatment and it is not easy to achieve the precision control required because the dentist has to judge everything solely by eye. In addition, this lack of control means that it can be very easy to damage the surrounding gum and skin on the inside of the mouth and the future risks associated with this type of tissue damage at present remain unknown. Finally, laser technology comes at a high cost. To acquire a laser machine a dentist would have to invest around £60,000, a colossal sum that inevitably has to be passed on to patients via higher dentistry fees. So, at Carisbrook we do not have laser technology and we rely on traditional dentistry skills and techniques, together with the latest painless processes that include ‘The Wand’ to meet our patient’s needs. When we use our drills, not only can we see precisely where we are working, but we also receive tactile feedback because we can actually feel the difference between those softer areas where there is tooth damage and decay and the harder healthy section of the tooth. It means we can work with far more precision by limiting our treatment exclusively to the damaged part of the tooth and at the same time we can maintain infinitely better control of the operation by working at a slower more manageable pace that is far more reassuring for the patient helping them to remain comfortable and relaxed throughout the entire treatment. 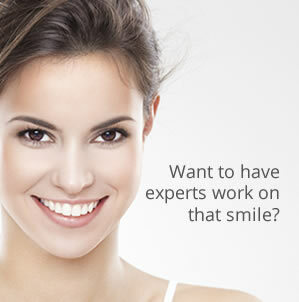 You can find out more about our range of treatments and the latest painless techniques we provide by going to our Dental Treatments and Nervous Patient Care.